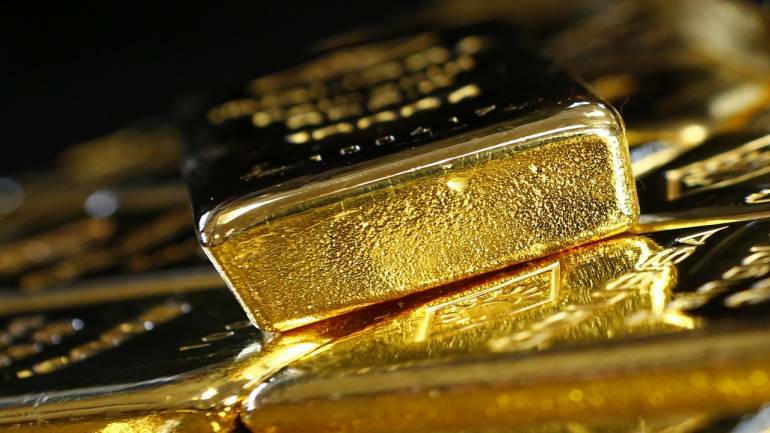 Gold prices held steady on Monday as investors were cautious ahead of the US congressional elections due on Tuesday which will determine whether the Republican or Democratic Party controls Congress. "Traders don't want to extend any risk because of the growing uncertainty around the elections," said Stephen Innes, APAC trading head at OANDA in Singapore. Opinion polls show strong chances that the Democratic Party may win control of the House of Representatives in the November 6 midterm elections after two years of wielding no practical political power in Washington, with Republicans likely to keep the Senate. "We are seeing increasing weariness that the US dollar could run out of steam, which naturally plays into gold... If we get a little bit of escalation of US political risk that plays even more favourably into gold," Innes added. Meanwhile, the dollar lost ground against most of its major peers, as growing expectations of an orderly Brexit bolstered the pound, euro and broader global investor sentiment. Dollar-denominated gold, which is used as an alternative investment during times of political and financial uncertainty, becomes less expensive for users of other currencies when the greenback weakens. Asian stocks were hammered as fears of faster rate hikes in the United States and uncertainty around the Sino-US trade war dented risk sentiment. "Market reports on a potential escalation in US-China trade tariffs have laid fundamental support levels for the safe-haven asset as investors worry on weaker conditions in the global economy," Benjamin Lu, a commodities analyst with Phillip Futures, said in a note. The United States and China are not close to a deal to resolve their trade differences, the White House's top economic adviser said on Friday, adding that he was less optimistic than previously that such an agreement would come together. Spot gold may retrace to a support at $1,224 per ounce before, as it faces a resistance at $1,237, according to Reuters technical analyst Wang Tao. Holdings in SPDR Gold Trust, the world's largest gold-backed exchange-traded fund, fell 0.23 percent to 759.06 tonnes on Friday. Meanwhile, hedge funds and money managers raised their net short position in gold by 18,723 contracts to 45,622 contracts, according to US Commodity Futures Trading Commission data. This was the highest in three weeks. Among other precious metals, silver was down 0.2 percent at $14.71 per ounce. Platinum was 0.3 percent lower at $864.25 per ounce, while palladium rose 0.3 percent to $1,118.75.